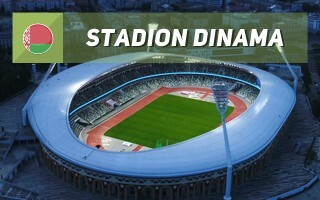 Demolition of the old Dinamo stadium was approved in 2012 and the plan was as follows: a football-specific venue for possibly 40,000 people would have been incorporated into the old bowl, preserving the monumental arcades enveloping the stadium since 1950s. 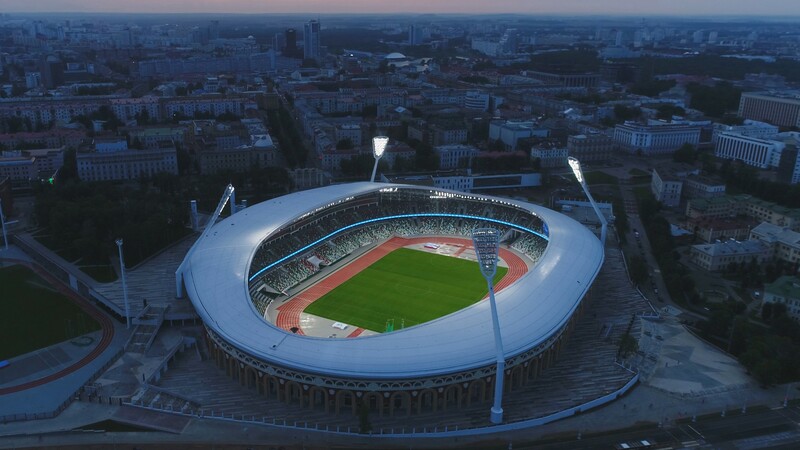 Offer from a Hungarian partner was scrapped and international competition for the new stadium was announced, with capacity reduced to 35,000. Won by Germany's GMP Architekten, the competition ended with another abandonment, this time for fear of excessive cost (up to €190m). This proved very problematic as demolition of the old ground was already well underway. 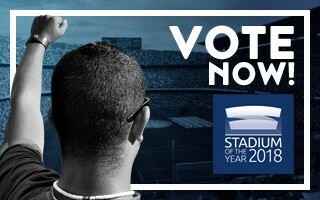 As an alternative, reconstruction into a new multi-use stadium with 20,000+ capacity was approved. 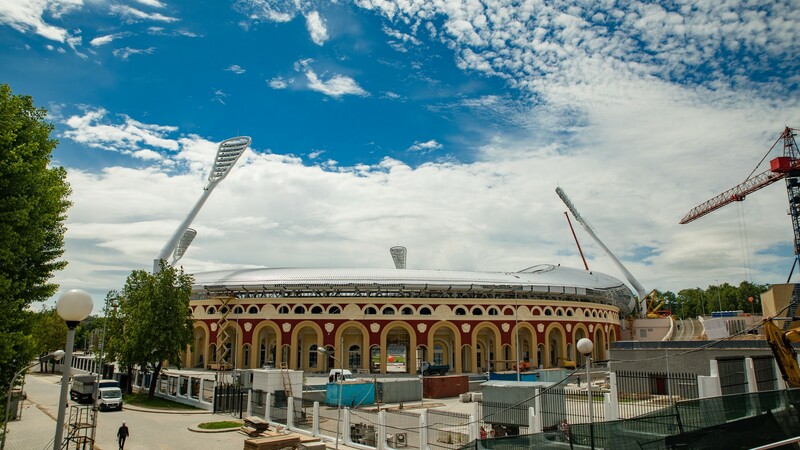 Confirmed by decree in 2014, Belarusian designers and contractors began working on the venue with explicit order to preserve its crucial, most historic elements: the outer arcades, decorative north and south gates and the Olympic torch from 1980, which later found itself moved to an exposed spot on the south end of the auditorium. The new seating bowl was designed as almost entirely uniform double-tiered oval with the main stand topped by two floors of glazed rooms. 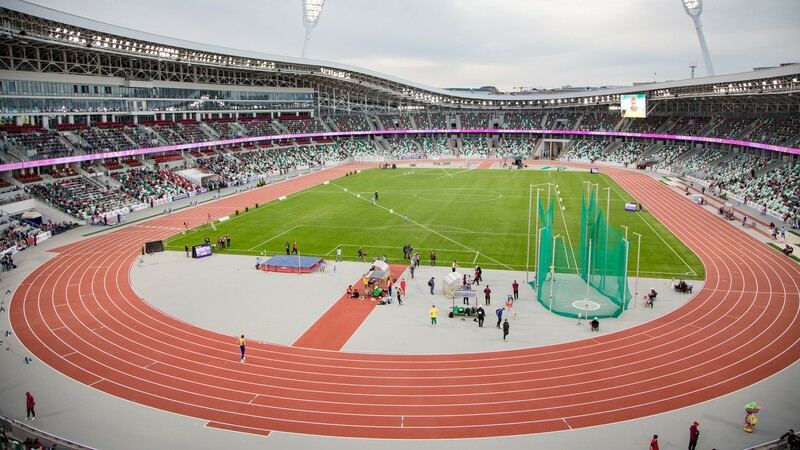 Initially not part of the plan, some of these facilities were argued to aid efforts to receive highest categories from international sports federations. 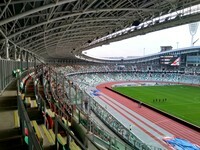 The increase in main building's size forced a shift in roof design change, which had already swollen since early design phase. 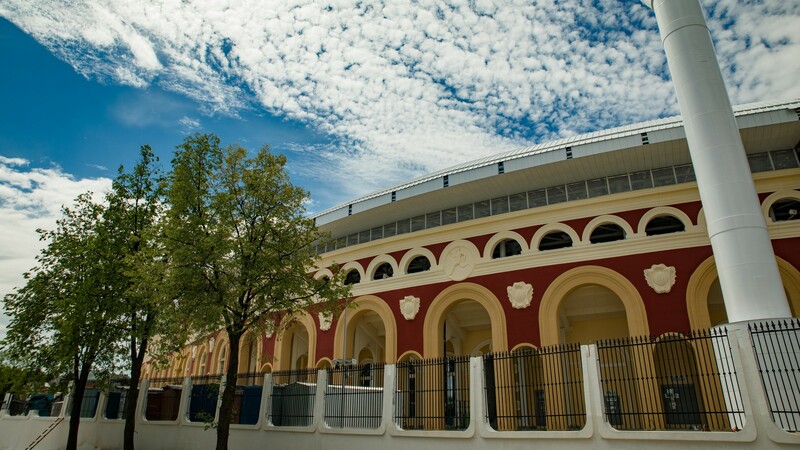 Covered with white aluminium, the roof was initially designed to barely stand out above the historic arcades. In reality it spans out and becomes more visible (even though 20% people inside aren't covered), causing a contrast between old and new. 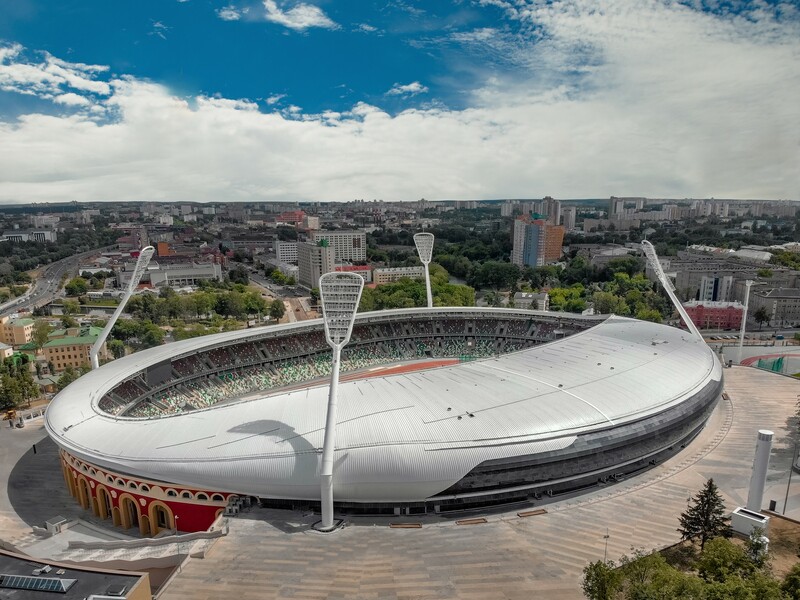 On the west side the roof grows even bigger, pouring out of the historic outline like a futuristic blob. 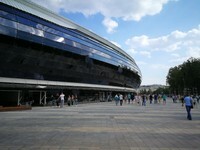 Black glazing decorates the main administrative building. 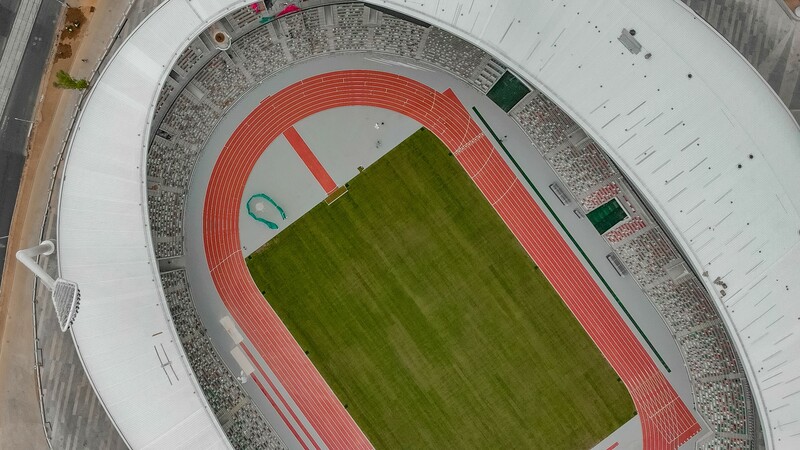 This is where most people walk in on a daily basis as offices and training facilities are mostly placed in the west, as are over 100 parking places within the stadium. 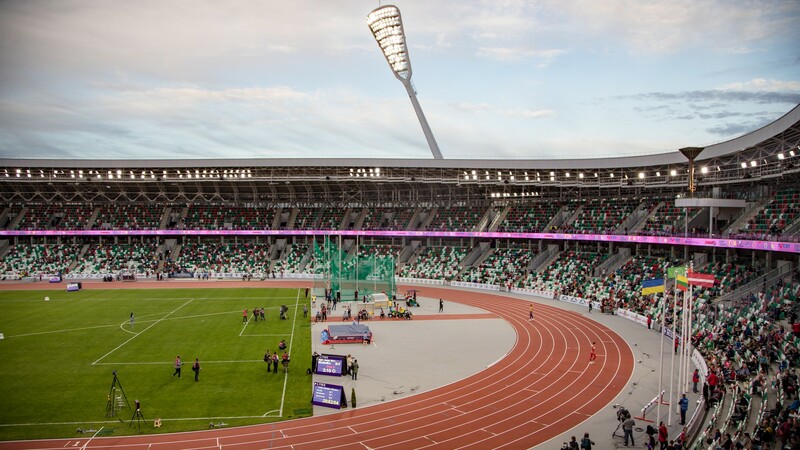 Topping the clash of future with history are four unique floodlight masts. 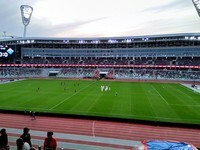 Construction of the stadium took rather long due to numerous alterations in initial design, causing public criticism. 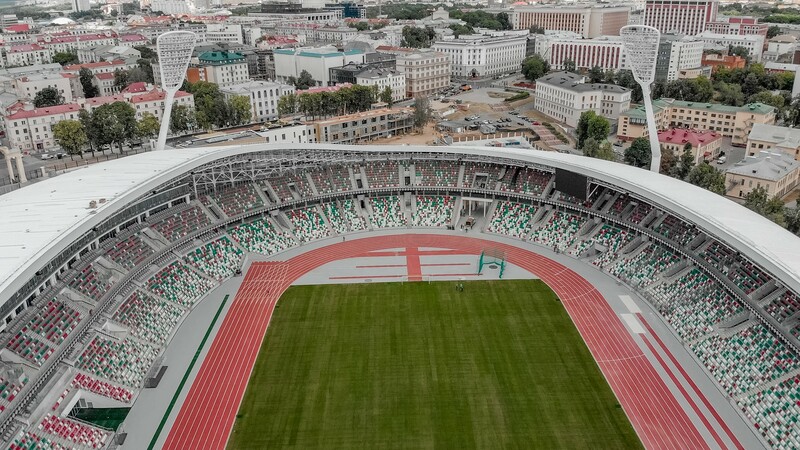 However, the end result is, as promised, a stadium certified to meet highest criteria of both UEFA and IAAF, even if built with a budget close to that feared back in 2013. 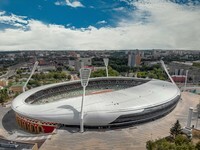 As proof of its high quality, the building becomes host of its first continental event within a year of opening, holding the Minsk 2019 European Games. One of the most interesting combinations of old and new. Historic arcades are topped by fresh alminium dome. 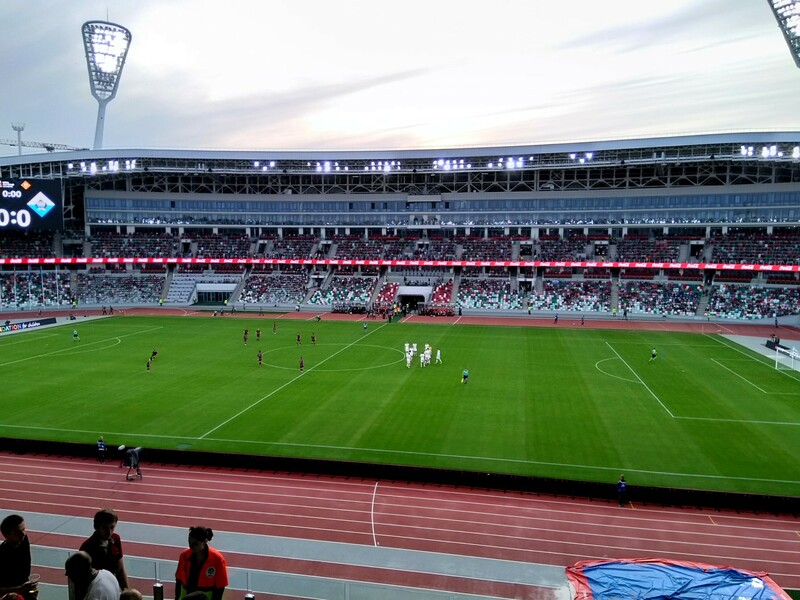 Instead of football-specific, as was planned initially, it's a brand new athletic stadium and quite impressive one too, as proven by hosting rights for the 2nd European Games.